Neuhaus Belgian Chocolates are in stock at De Meersman! 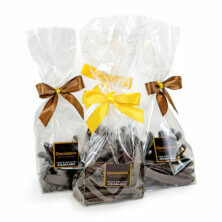 Neuhaus Chocolate is brought to Toronto and delivered throughout Canada by De Meersman. 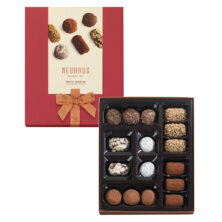 Experience the timeless elegance of Neuhaus Belgian chocolates, reflected in the high quality of these luxury products. Neuhaus was founded in 1857 by Jean Neuhaus, who opened the first store in the Galeries Royales Saint-Hubert in central Brussels. In 1912, his grandson, Jean Neuhaus II, invented the praline. 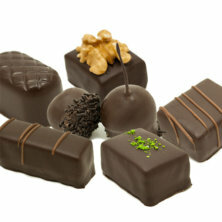 All Neuhaus products are made in Vlezenbeek, near Brussels. In 2000, the company received the Royal Warrant of Appointment to the Belgian court. These chocolates are known world-wide for their consistent excellence and quality. 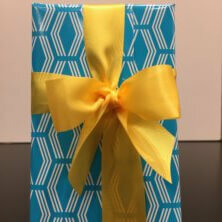 We proudly share these with our patrons in Toronto’s Yorkville store, and online across Canada, for a reasonable price. Please click here for delivery to the U.S., or here for other international deliveries.